Argentina: Que se vayan todos! – They all must go! What is to be done when capital and government abandon the people? 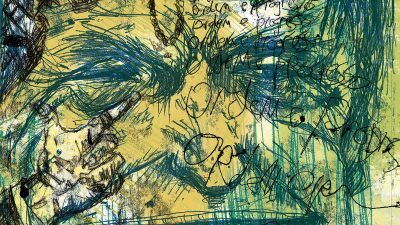 It is a question that social movements throughout Europe and the US have begun to raise with a creative political militancy unseen in decades. These are movements characterised by their openness, breadth and, most importantly, their fundamental critique of an economic model that doesn’t serve the world’s majority. But in the face of repression and austerity measures, the question has become not only how to keep such issues on the table but how to make political change and gain ground. To better understand this moment, we can turn to these movements’ South American predecessor: Argentina 2001, when popular protest put an end to destructive neoliberal policies and drastically changed the political terrain. A decade later, with unprecedented economic growth and President Cristina Fernández de Kirchner’s landslide re-election victory, it is easy to forget just how Argentina climbed out of the largest financial default in history. 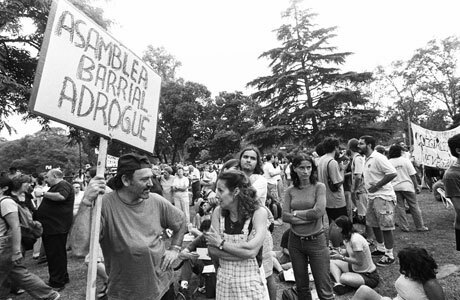 Though many credit former president Néstor Kirchner with creating a new economic model that reined in a private sector run wild, it was the people whose unyielding protests during the 1990s and through the turn of the century would ultimately bring about change. From a vacuum of political power and severe economic necessity grew new political formations outside traditional party politics. Hundreds of neighbourhood assemblies came together to meet people’s most basic needs and create spaces for local dialogue. Bartering clubs experimented in alternative economics, and workers of bankrupt businesses began to occupy and run enterprises on their own. What has happened to that new political space in the past ten years? Why have many of the new political and social formations faded into the background, overshadowed by a ‘centre-left’ government with a well-oiled populist rhetoric? 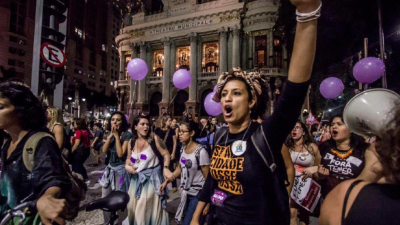 What lessons can social movements around the world take from the Argentinian experience? And what about that experience is not applicable (or perhaps not yet applicable) in places such as Europe and the US? In taking a closer look at what the people of Argentina were able to accomplish, how they were able to accomplish it, and, most interestingly, the ways they were unable to secure broader change, a picture of a revolution left in midstride emerges: one whose strength has not been lost, only diverted. For a world in which the central debate isn’t merely about austerity measures but a new economic paradigm, the past decade in Argentina could foreshadow the years ahead. The backdrop to Argentina’s rebellion was grimmer and more extreme than even the situation in Greece today (see page 17). Years of neoliberal policies had taken their toll. The official unemployment rate reached 17 per cent in 1996; in reality, it was even higher, with entire communities out of work. The country had no social security net or unemployment centres to help the jobless subsist and find work. The poor suburbs of Buenos Aires were the hardest hit, along with rural provinces. Entire neighbourhoods were left to fend for themselves without paved roads, electricity, sewage or transport. 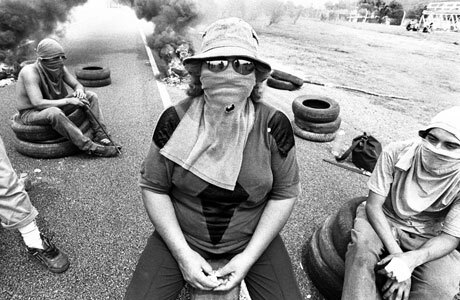 The major unions were ineffective, striking deals with the neoliberal Menem government to remain docile and failing to organise the growing ranks of unemployed. From these forgotten neighbourhoods the piquetero (road blockade) movement of the unemployed was born. Living on the outskirts of the city, residents regularly witnessed food and goods they sorely needed trucked past their precarious homes and into the city. Seeing no alternative, they began to blockade major roads with burning tyres to draw attention to their destitution and demand government assistance. 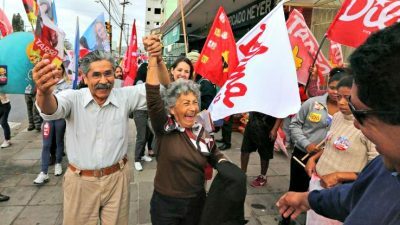 As the economic situation deteriorated in 2001, the piquetero movement began to gain legitimacy among the middle classes, who joined it in the streets in response to additional pension and salary cuts implemented by a government scrambling to avoid the oncoming economic collapse. When bank accounts were frozen at the end of November, the country was on the brink. Rather than appeasing the unrest and alleviating the burden of a collapsing economy, President Fernando de la Rúa declared a state of siege on 19 December. It was a decision that would spell the end of his presidency. Cacerolazos (noisy street protests), blockades and organised looting broke out throughout the country. 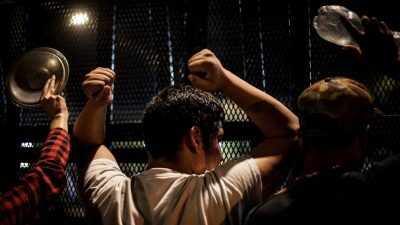 Police repression merely fanned the flames of popular resistance, and within 48 hours both the economic minister and president had resigned, the latter being helicoptered away from the presidential palace, the Casa Rosada. Political legitimacy was lost. The new year began unlike any other in 2002, with new-found popular power, a sense of inter-class solidarity and innovative propositions for local decision making. From initial city-wide gatherings made up of thousands, assemblies began to be formed in local neighbourhoods. At first meeting in plazas and on street corners, they started to occupy buildings and organise themselves into work committees around press, culture, employment, services, health, political action and community purchases. The assemblies organised neighbourhood surveys to determine local needs. They set up soup kitchens, community gardens, tutoring programmes and radio stations, and continued the protests against the banks by staging direct actions and occupations. Faced with the lack of cash, clubes de trueque or bartering clubs – which had existed prior to the crash – tripled in number, reaching 5,000, with an estimated four million participants in 2002. Members invented their own forms of currency and began to trade food, goods, and services, creating an alternative economy based on principles of solidarity. Simultaneously, a movement was growing of workers occupying their then bankrupt and abandoned factories and businesses. As the journalist Marie Trigona explains, ‘Most of the worker takeovers were to guarantee that the owners wouldn’t be able to liquidate assets before filing bankruptcy to avoid paying workers indemnities and back salaries.’ But as the occupations continued, ‘demands steadily grew from a measure to safeguard their jobs to the idea of implementing a system of self-management.’ Knowing that former owners were never going to compensate them or re-invest in the business, workers planned and re-started production themselves under a new cooperative model with equal pay for all – and no bosses. It wasn’t simply what Argentinians jump-started after the crisis but how they did it that was so groundbreaking. Guided by principles of autonomy, equal participation and democracy, these new formations were an implicit rejection of the traditional political and business hierarchies. Neighbourhood assemblies referred to themselves as autoconvocados (self-convoked) and made decisions using a consensus model in which all had equal say and majority voting was often a last resort. There was also a renewed sense of solidarity between classes, as assemblies in middle-class neighbourhoods directed many programmes to the poor and unemployed. In Villa Pueyrredón, in Buenos Aires, the assembly set up daily lunches for the growing number of cartoneros, those who collect and recycle cardboard in return for a small stipend. In a country where inequity often pits the poor against the middle class, this kind of solidarity was unique and critical. By the same token, solidarity, democracy and autonomy comprised the core values of the recovered factories movement. In contrast to capitalist business models that look to maximise profit at human expense, the cooperatives, in which workers were also owners, did not view layoffs as a tool for balancing the books. Though faced with countless uncertainties, these ‘horizontal’ projects created new forms of social relationships and new identities for many Argentinians. This has led to what the Ezequiel Adamovsky has described as the ‘permanent installation of a new left culture, absent in political traditions of the past’. It was in this context of intensified political activity that Néstor Kirchner was narrowly elected president in May 2003. Adamovsky describes Kirchner’s election as ‘unthinkable without the political vacuum that 2001 created’. The immediate steps his government took to renegotiate international debt and cut ties with the IMF and World Bank would have been ‘impossible without the underlying detail of people in the streets and the profound questioning of financial institutions’. Yet for the majority of the movements that sprung up in the late 1990s and throughout the crisis, the Kirchners have been a demobilising and contentious force. For the piquetero and unemployed workers’ movements, the minimal increase in state assistance came to be a dangling carrot with strings attached. 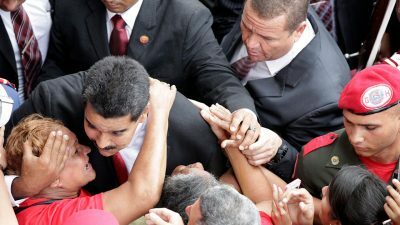 Still without broad solutions for unemployment, assistance plans multiplied and were left to the piquetero organisations and political party leaders to distribute, usually in exchange for political loyalty. ‘Nestor Kirchner’s policy consisted of simultaneously enacting strategies to integrate, co-opt, and discipline the piquetero organisations,’ writes sociologist Maristella Svampa. She details how the piquetero movement as a whole became limited to acquiring and maintaining government funds, leaving aside goals of broader social reform. 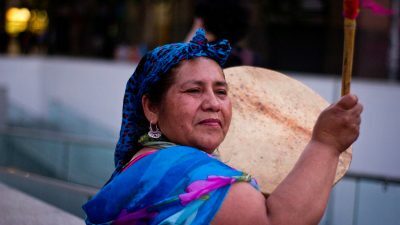 While not all piquetero groups could be co-opted, those that have chosen to ally with the government have been rewarded with economic and organisational resources. Many so-called political leaders responsible for giving out government funds (called punteros) have even begun using their role as distributors in order to turn a profit. Neighbourhood assemblies have also dwindled in the past decade, with some of the largest having disappeared altogether. Initially assemblies were politically diverse due to the diversity of their members and their newness to social activism, but as the immediate crisis passed things began to change. ‘We were neighbours. We didn’t have anything else in common other than our neighbourhood, no kind of ideology,’ says Eva Sinchecay of the Villa Pueyrredón assembly. It was something that turned out to be both a strength and a weakness as assemblies were more independent but became susceptible to the agendas of left groups that used them as a means of recruitment. ‘It began to dissolve,’ says Sinchecay, whose assembly splintered after the uncooperative participation of a communist group. Much of the middle class who made up the bulk of the neighbourhood assemblies were captivated by Kirchner’s presidency. The rejection of neoliberal economics and opening up of human rights cases against former members of Argentina’s military junta gave many new hope that this government would be different. But by no means have the Kirchners’ reforms been a radical move towards the alternative economic and social relations that the assemblies had once proposed. The recovered enterprises have turned out to be one of the most enduring projects to emerge from the crisis. Since 2001, at least 205 functioning recovered enterprises have formed, running the gamut from chocolate and shoe factories to printing presses and hotels. Rather than laying off workers, three-quarters of these cooperatively-owned businesses have taken them on, paying more than other companies in similar industries. The country’s largest recovered enterprise, Zanon, a tile factory occupied in 2001 and renamed Fasinpat (short for ‘factory without a boss’), currently employs 470 workers in the province of Neuquén. These movements have all left their mark on Argentina. Though they may not have achieved all they had hoped, they pushed the boundaries of political imagination and showed the creative capacity of ordinary people in extraordinary situations. Still, for many, specifically those on the independent left like Fabián Pierucci and Eva Sinchecay, the movements missed a historic opportunity for structural change. Despite Argentina’s economic growth, they say the economic model is still based on unstable and short-term factors such as the international price of soy and the exploitation of natural resources. Sinchecay, who still helps cartoneros in her community collect cardboard, says the social programmes have been insufficient in combating poverty. ‘We have seen three generations of people without work,’ she laments. Pierucci believes Argentina has not seen the last of economic crises, and that despite the relative calm another could be on the way. ‘We can’t lose perspective that crisis is cyclical in the economy, and that each time it will be deeper,’ he says. Despite maybe missing a historical moment, the strength of Argentina’s social protest and its people-based solutions to economic collapse have inspired social movements around the world. Protesters in Greece even adopted the slogan Que se vayan todos! (‘They all must go!’ – referring to politicians), popularised on the streets of Buenos Aires in December 2001. In many ways, what emerged from Argentina’s collapse could be (and, to a lesser extent, has been) replicated in countries worldwide – occupations, worker-run businesses, neighbourhood assemblies. The extremity of the economic bust and the vacuum of power in Argentina created unique conditions for social movements to prise the country from neoliberal government and give birth to a new politics. But the same spirit of solidarity and possibility can be seen across the world today – and there is much that it can learn from the Argentinian experience.